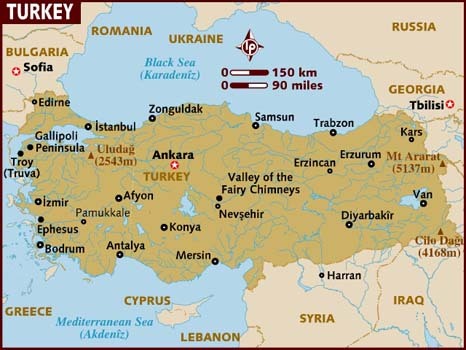 I figured I'd start you out with the same map of Turkey I used previously. Other maps simply did not show what I want you to see. 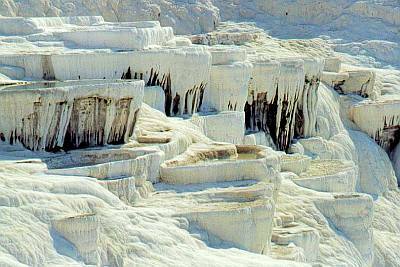 Pamukkale is in a region called Denizli. It includes Heiropolis and a host of other ruins. It is extraordinary and beautiful. The drive from Afyon took a few hours but was painless with the inclusion of the iPad, Sekker Pare and the fam. Pamukkale is a place that tourists save their whole lives to visit. 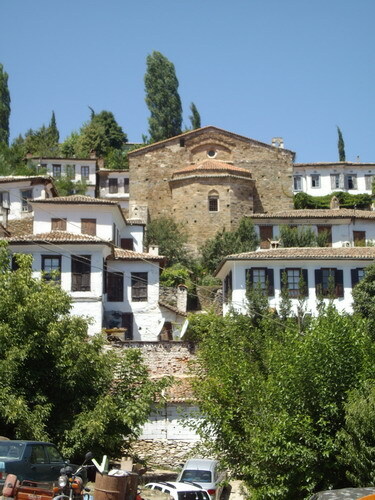 It was great but even better and rarely visited by Americans was a little place called Sirince (Pronounced Shir-in-jay). Sirin means cute - and oh, it's cute. 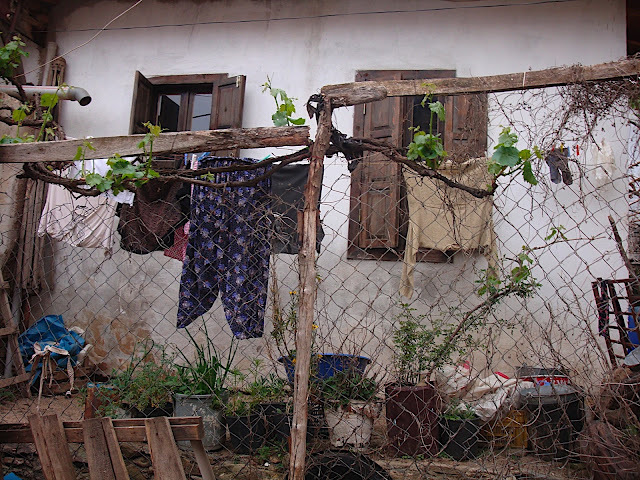 But it was first called "Ugly" by it's Greek inhabitants because they did not want to be disturbed by outsiders. The locals live a simple life. 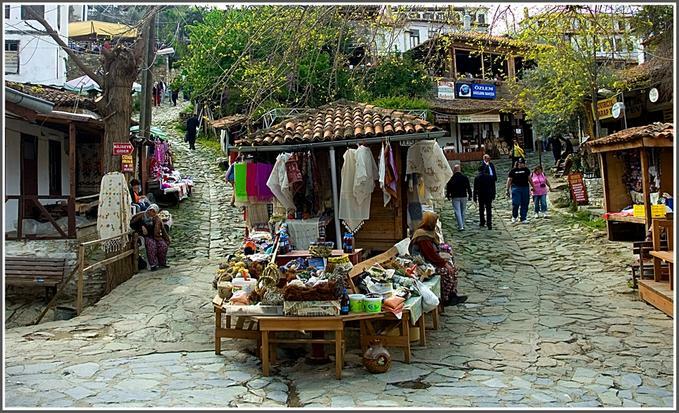 Vendors are out selling wares all over this village. Can you believe cars drive on these roads? A sweet little church tucked in the Turkish hills. We found a covered courtyard. So simple. A dirt floor, low tables and mismatched chairs. We ordered our tea and enjoyed the view. The gentleman that owned the tea house sat down and told us the entire history of Sirince. My husband translated for me...In not these exact words the man told us that the Greeks were here as slaves and set free to start their own lives. They found this little hillside and called it ugly to ward of unwanted guests. Then the Greeks left and this quaint hillside was re-found by the Turks. The name changed and folks settled, they struggled to make a living. So they opened up the "cute" place and began selling home cooked meals and local wines. Visiting "cuteville" was a pleasant way to spend the afternoon. 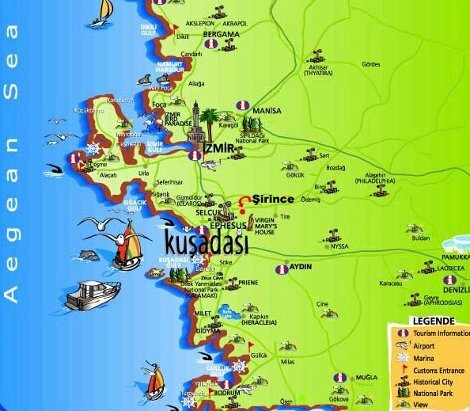 After, we ventured to Kusadasi (pronounced "Koo-shaw-de-si") to find a place to stay for the night. This is a sweet memory for me. We stayed at a clean, small hotel which happened to be hosting a HUGE engagement party. The sun went down and we went into town to see the sights. I loved being in a place that my husband remembers so fondly. He talks often of summers in Kusadesi. It has been since overrun with tourists but it is still a charming place to visit, regardless.